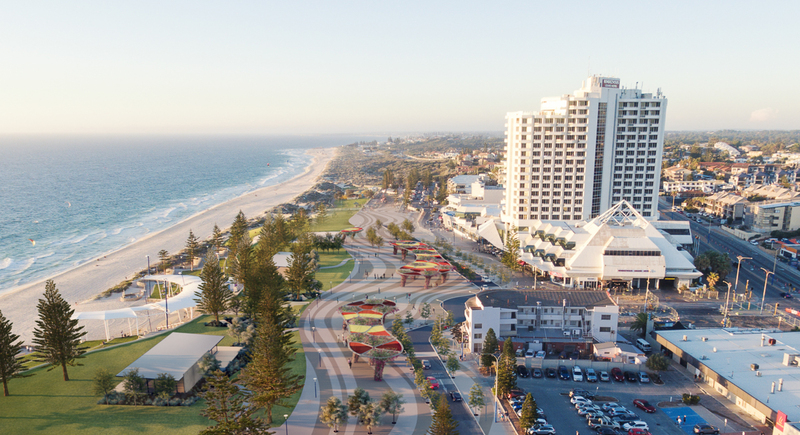 Chaney Architecture was engaged in January 2016 to design and document an arbor structure to provide shelter and shade for the new Scarborough Foreshore Redevelopment. 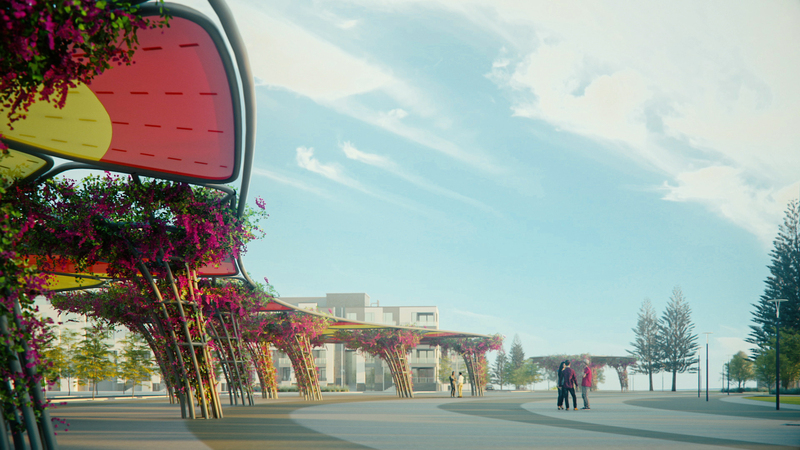 The arbors are important visual and spatial elements in the development of a major new public space within the foreshore precinct and were conceived and designed as both a practical and poetic response to the harsh environmental conditions of the coastal site. 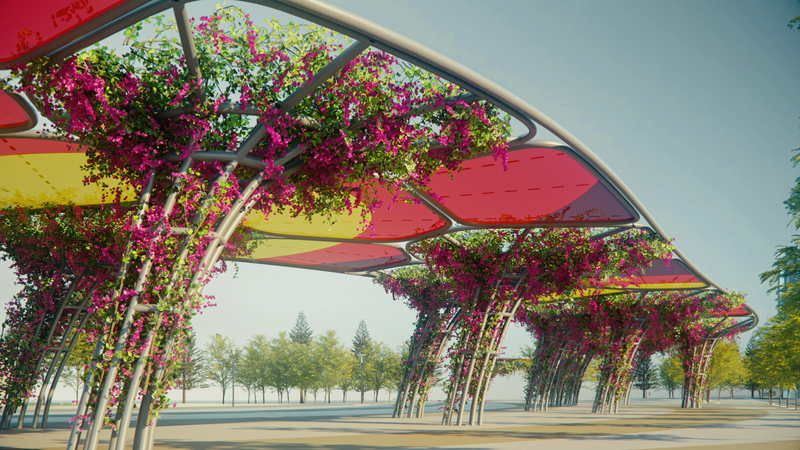 The arbor structures provide generously shaded areas along the edges of the new, linear town square that will transform a space that is currently dominated by roads and car parking areas. 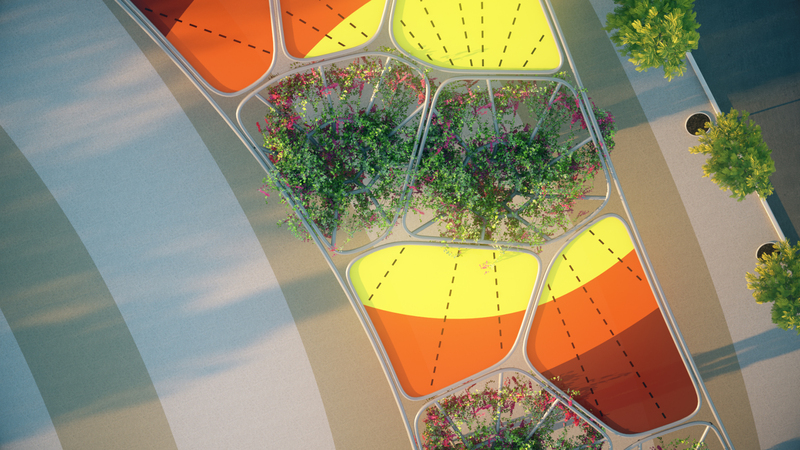 The curved geometry of the arbors responds to the serpentine qualities of the space and will cast complex and interesting shadows across the ground plane of the new square. Chaney Architecture has also completed the detailed design and documentation of a new ablutions block to be constructed immediately north of the arbor structures.